Coconut pie is a rich and creamy dessert. 3 What Is the Difference Between Coconut Cream Concentrate & Coconut Butter? 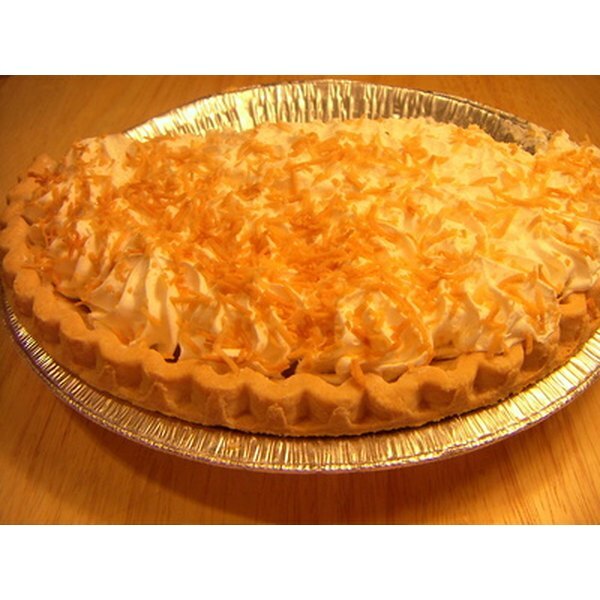 Coconut pie has a sweet and creamy texture, thanks to the flavor combination of milk, vanilla and coconut. Eggs and butter add to the richness of this dessert. For added deliciousness, and the classic diner feel, finish off this pie with a heaping whipped cream topping. As an alternative to dried, shaved coconut, purchase fresh coconut. 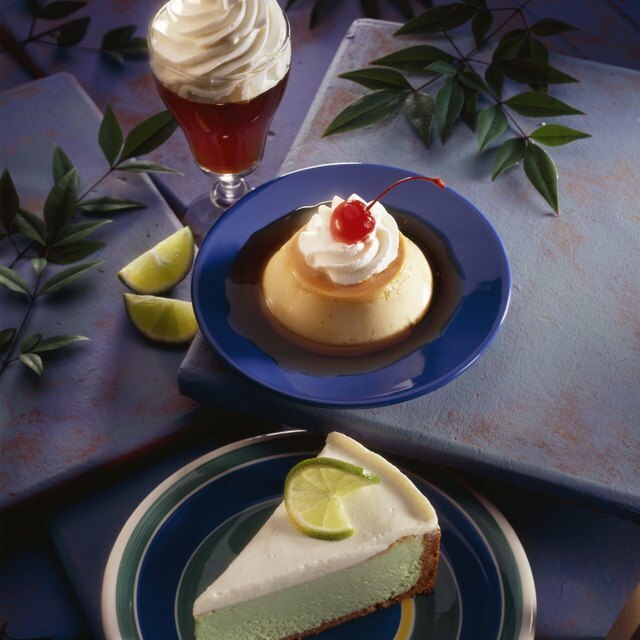 Though it can be a pain to open, fresh coconut meat will add to the flavor and authenticity of your pie. Beat the eggs. Put the butter in a microwaveable bowl and heat until melted. This should take approximately 40 seconds on a high setting, though the will vary by microwave. Mix the flour, sugar and flaked coconut. Set the dry ingredients aside. Mix the butter and eggs together. Add the vanilla extract and stir. Add the dry ingredients to the egg mixture slowly, and mix thoroughly. Add the milk gradually, half a cup at a time, and stir until it is incorporated into the mixture. Pour the ingredients into the pie shell when they are completely combined. Bake the coconut pie for 50 minutes. Insert a butter knife into the center of the pie. If it comes out clean, the coconut pie is finished baking. If it needs more time, put the pie back in the oven and test it every five minutes.